Dear pregnant mama, I have been in your shoes. I have watched those two pink lines change my whole world, and shaking with adrenalin, I have told my husband that he’s going to become a Daddy. That first pregnancy is a dizzying, surreal time. Nothing you have ever experienced before even comes close to touching it. And all those feelings you feel? I’ve felt them too. I know how it feels to be so excited you could fly, and yet so overwhelmingly scared of messing up that you wonder if making a baby was the right call in the first place. Maybe you’ve been researching pregnancy for months and could recite What To Expect When You’re Expecting in its entirety. Maybe you’re only about 60% sure you know what a placenta is. Or maybe you lie somewhere in the middle. But no matter what, now that it’s really real, it’s possible that you’re feeling a bit overwhelmed. There’s so much to take in. So many decisions to make. So many new rules to follow. And on top of that, a brand new set of hormones giving you a new lease on your emotions. There are some big things ahead. A wonderfully strange new future has been laid out before you. You don’t need to sweat the small stuff. …or a little bit of brie, or a runny egg yolk on your toast. Yes, pregnancy food guidelines are in place to reduce risk to your baby, but the risk that they’re reducing is pretty small to begin with. Don’t beat yourself up for a slip-up. Cravings are strong when you’re with-child. It certainly doesn’t make you a bad mum. If trying to meticulously plan for the unknown isn’t your thing, you are so welcome to let this one go. You know who has a reliable birth plan? Your hospital. They deliver babies every day and they can do it really well without a list of extra instructions. 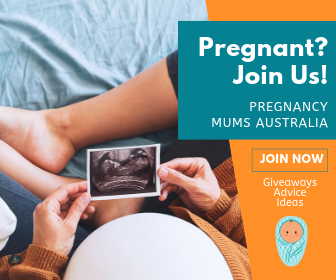 That’s not to say that pregnant mums who want to write up a birth plan shouldn’t – you do you, mama! But if it’s too overwhelming for you, or if you just don’t want to think too far ahead? That is so fine. Your baby will still be perfect. Birthing classes are awesome, and many mums choose to participate in one, especially before the arrival of their first baby. Depending on the class they might take you through everything from breathing techniques to breastfeeding to bathing bub. Usually run by midwives, they’re packed full of great information that you’ll no doubt draw from when you go into labour. But sometimes we leave it too late and can’t get into a class. Sometimes the class is canceled. Sometimes we have our baby the day before we were due to attend class (this is me. I did this.). And sometimes we just want to Google it instead, or prepare ourselves by watching hours of YouTube births. And it’s okay. All of it. You get to the birthing suite and realise you don’t know how to breathe through contractions? Ask your midwife. You don’t understand a term the doctor used? Just ask. Birthing class or not, your support team will help you get through the process and your baby will be born. Everything will be okay. In fact, don’t sweat it if you don’t even have a nursery set up yet! Your baby needs three things when she comes home: a SIDS-safe place to sleep, clean nappies on her bum, and a belly full of milk or formula. Everything else is just details. Bub’s clothes and blankets can be stored in a laundry basket in your room. Her nappies can be pulled straight from the box. She won’t know the difference, and you can tackle that nursery when you’re good and ready. So don’t stress or rush to complete it. Mama, there will be time for that. Don’t sweat it if you’ve never changed a nappy or swaddled a blanket or even held a tiny newborn in your life. Please don’t stress about bathing him and burping him and how to start feeding him solids. A lot of motherhood is intuitive – and for the rest of it, there’s midwives! 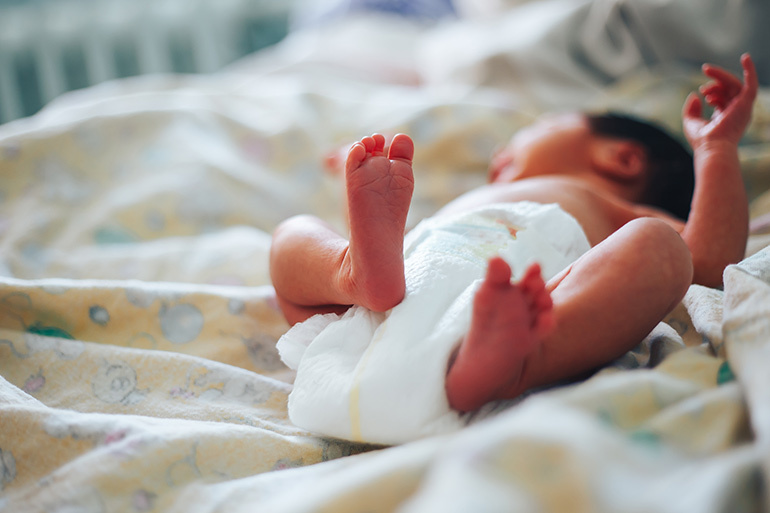 They’ll be right there in the hospital to show you the ropes and fill in the gaps, making sure that you’re confident enough to take your little one home. It may be that your only experience with caring for a living thing is the numerous house plants that have died on your watch, but trust me. You’ve got this. If there’s one thing I’m sure of, it is that almost every pregnant mama has felt the way you do now. Take a look at all the awesome mothers around you – friends, family, strangers on the street. Not one of them handled their pregnancy perfectly. Not one of them is handling motherhood perfectly either. But that doesn’t stop them from being great mums. And you’re going to be a great mum too – don’t sweat it.